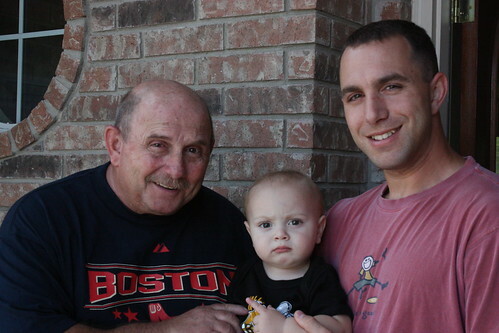 This is a three generation photo we were able to take since Achoo turned one. This is also a test for blogging from somewhere other than my computer!!! Great pic of the Bellucci men, Jen!